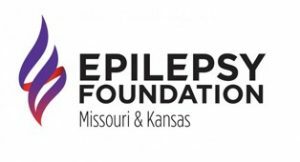 The Epilepsy Foundation of Missouri and Kansas is a nonprofit organization that helps people learn to cope with seizure disorders. It offers advocacy and education for people who suffer from epilepsy, their families, and their community. We have empowered the organization so they can make their own changes to their website as needed without any hassle or previous coding experience. The site helps them spread awareness, promote events, recruit volunteers, and is set up to facilitate their fundraising. We were excited to be able to donate this website to EFMK, because we believe in what they are doing. Go check them out!